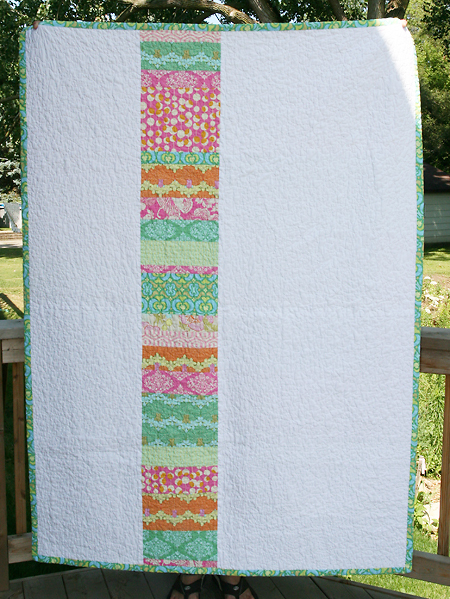 The quilt is made up of Amy Butler's Midwest Modern lines and Bella Solids for the white backing. 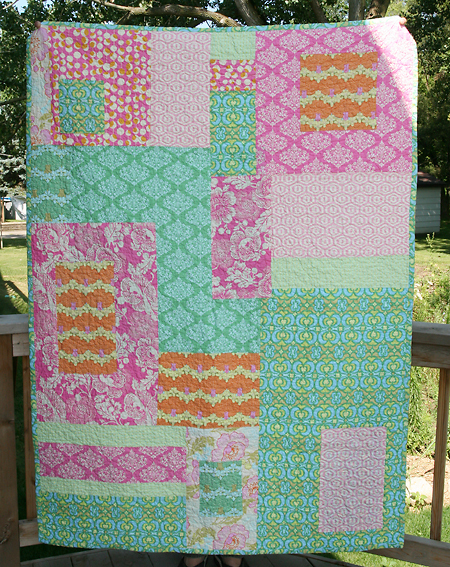 I quilted free motion style and it measures about 50" x 70". Overall, I'm very happy!